The first 500 customers to install solar PV via E.On’s solar programme will receive 5.24p per kilowatt hour of electricity exported back to the grid. That rate is exactly the same as the existing export tariff paid out under the FiT, meaning that E.On’s Solar Reward scheme will essentially step in to the policy void left by Sunday’s feed-in tariff closure. E.On’s solar reward will only be paid to the first 500 customers and will only be paid for one calendar year, after which it is expected that the SEG will either be in place or close to being implemented. 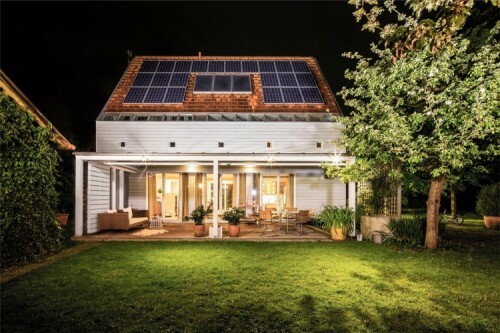 Michael Lewis, chief executive at E.On UK, said it was the utility’s intention to continue “encouraging and giving confidence” to homeowners looking to invest in solar. “We know how important solar is for our future which is why we’re leading the industry in rewarding our customers for doing their part to help. The feed-in tariff closes to new applicants at midnight on Sunday, with all new installations made after that point to be unsupported by any means of subsidy. Furthermore, as the Smart Export Guarantee (SEG) is still under government development, new installations will not receive any payment for surplus power exported to the grid. When introduced, the SEG will mandate all large energy suppliers to offer new solar installations a price for any power they export to the grid, ensuring customers are financially rewarded as per European legislation. Specific details of the under-development scheme are still up in the air while government assesses responses to a consultation, however it has already been confirmed that rates on offer must be above 0p and cannot dip into negative pricing. E.On entered the UK’s domestic solar market to much fanfare in April 2017.